Daffodil Design - Calgary Design and Lifestyle Blog: yay for december. we're finally on the mend from another round of colds and coughs that ran rampant on our household. oh the joys of sending one off to preschool! i was on a blogging roll and now i'll hop back into it! my christmas shopping is nearly fini - i just have a few stocking stuffers left for the hubs - i'm out of ideas, anyone? 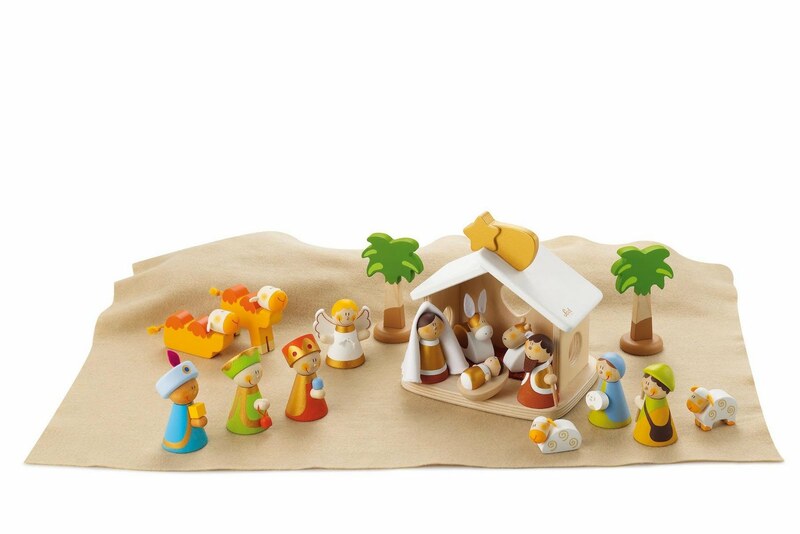 last week i found this adorable nativity set by sevi on raspberry kids. i'm kicking myself for not going ahead and ordering one as it's now out of stock. i think it'd be a beautiful keepsake for the girls, and so fun for them to put out and play with each year. sevi also offers a bounty of awesome gifts and stocking stuffers... the quality is amazing and the price is quite affordable in comparsion to other wooden toys on the market.